This card was created for a Positively Papercraft sketch challenge. These are not colours I would normally put together but in that creative design process it just happened and I quite like it. I think the soft delicate tiny stamping somehow softens the harshness of the colour clash and the colouring of the flowers adds subtlety that would otherwise be missing. I love this fab stamp set and the coordinating punch and really enjoyed my first use of the two together. 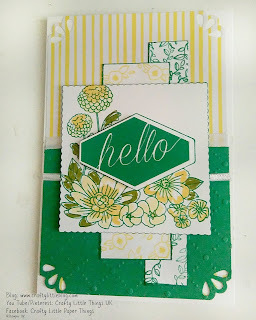 I have to start adding more texture to my cards and embossing folders are the way to go for this I think and so may start to feature a little more in my projects. 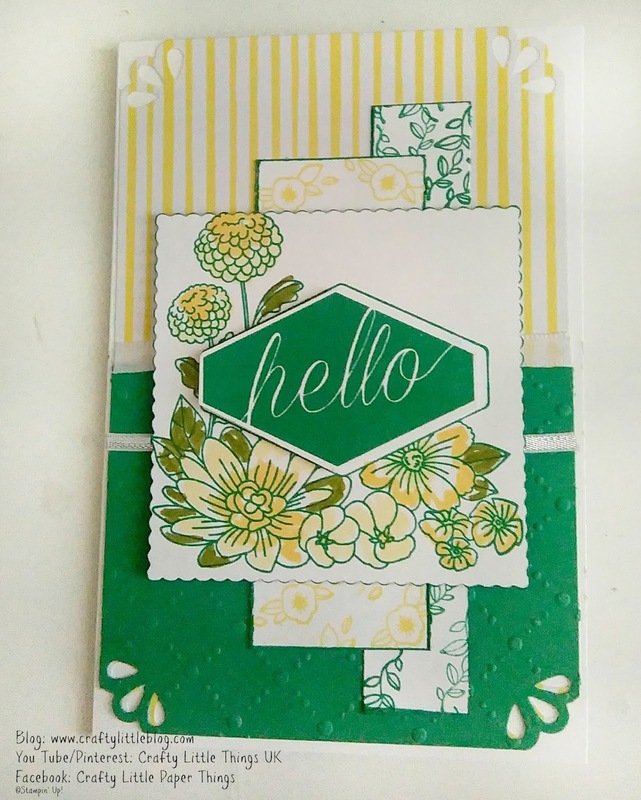 There is a tutorial video to go with this card which is a great one for beginners to try.